HM Manufacturing recognizes the unrelenting demand for product quality and precision machining in the food processing component contract manufacturing industry. As a global brand, we ensure that cost effective measures, along with product innovation is implemented at every step. Whatever your need for power transmission components may be, we cover it all with our reliability, quality and consistency. OEM food processing manufacturing, food vending machines and conveyor component and part contract manufacturing services include heavy machining and fabrication, light precision machining and fabrication and precision sheet metal fabrication services. Component and part manufacturing services include heavy machining and fabrication, light precision machining and fabrication and precision fabrication services. Our products are typically found along side components that also use welding services, CNC machining, milling, turning, grinding, boring, planing, sawing, drilling, forming, rolling, shearing, cutting, assembly, CNC punching and CNC press brake forming services. Materials include steel, stainless steel, aluminum, nickel chrome, copper, low-temperature steel, aluminum bronze and Invar®. 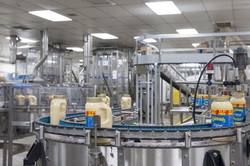 HM Manufacturing contributes to to critical food processing manufacturing and vending motion control specifications every day. That's because custom gears pulleys and sheaves are our specialty. And our profound knowledge of materials and gear manufacturing gives us an advantage. From our engineering expertise to prototype and production runs, we work in a wide range of industries, including the food processing, point of sale, kiosk, and food vending fields.